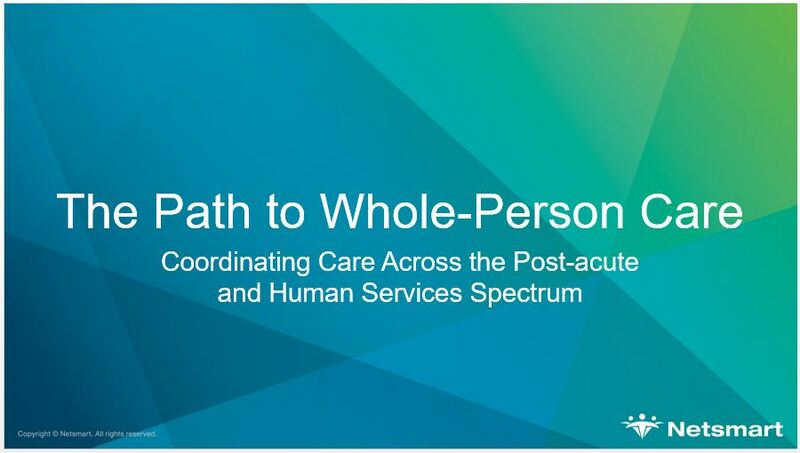 ommunity is a natural starting point, complete whole-person care means collaboration that extends throughout both the human services and post-acute spectrum. Do you have the tools to turn your data into the actionable insights needed to tell a more comprehensive story about a person? 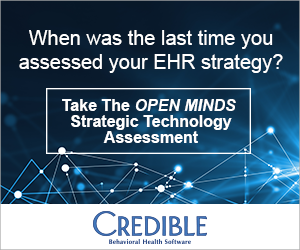 Do the processes in place at your organization enable you to effectively work with other providers and facilitate seamless transitions of care? How can you overcome common collaboration challenges in order to improve outcomes? View this executive web briefing recording titled, Panel Discussion: The Path To Whole Person-Care – Coordinating Care Across the Post-acute and Human Services Spectrum, to hear moderator Denny Morrison, Ph.D., chief clinical advisor at Netsmart, along with experts from across the healthcare community discuss the challenges and opportunities associated with coordinating care across multiple settings and providers, as well as the healthcare IT tools critical for delivering whole-person care.